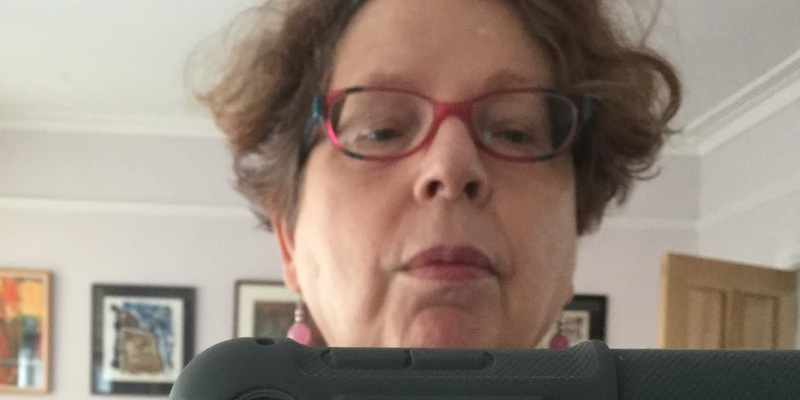 Adele Geras has written many books for children and young adults and six novels for adults, the latest of which is Love or Nearest Offer, published by Quercus in paperback. She’s working on a historical novel for adults. She lives in Cambridge. When this enormous novel was published in early November this year, it went straight to the very top of the Nielsen Bookscan charts, selling about 45,000 copies. A few weeks before it appeared, there was a piece in the Sunday Times by C. J. Sansom, who is the very opposite of an attention-seeker. It detailed the unspeakable horrors he suffered at a very good Scottish school, and how he was mercilessly bullied by both fellow pupils and staff. He said that this time affected his entire life, and I urge anyone interested to look the article up online. It’s very moving and adds a frisson of pleasure to the good news about the success of the book. We are pleased when bullies are outed and shown up in front of the world. C. J. Sansom has succeeded brilliantly in spite of the dreadful suffering he had to endure and such justice pleases us. Justice is what lawyer Matthew Shardlake is concerned with. He’s been preoccupied with it over six other novels. He’s now, after many turns of fortune, instructed by the teenage Elizabeth (Anne Boleyn’s daughter, almost a prisoner in Hatfield House) to see what’s going on in Norwich in relation to a relative of hers, John Boleyn, who’s been accused of the murder of his wife. The novel has two strands which interweave in a kind of irregular pattern. Most of the book is concerned with the over-arching historical story: an account of the Kett Rebellion of 1549. William Kett and his brother Robert are in charge of a huge gathering of people which becomes almost a little town, seeking to petition the Lord Protector for better conditions for their lands and livestock. The care with which Shardlake describes how this ‘town’ operates, how the people come together to administer food, drink, shelter, law and order is told in exhaustive detail. Some say the book is too long. Sansom is accused of concentrating on the fine grain of the historical story to the detriment of the murder mystery. I didn’t find that a problem. Because I know Shardlake so well, and like him so much, I’m happy to listen to his voice speaking about everything. He’s preoccupied with the fate of the rebels and he tells their story with compelling indignation. Later on in the book, there’s a more detailed account of a battle than any I’ve read before, and it’s truly ghastly. Disgusting. Horrible … just as it must be to convey the hideous truth of men eviscerating and dismembering one another and not sparing the women they meet along the way. The murder mystery is a good one. Is John Boleyn guilty not only of killing his wife but leaving her naked body head down in the mud with her modesty displayed to the world? Other deaths follow this one. As he gets to the bottom of this, Shardlake meets a huge cast of characters of varying degrees of turpitude. The Reynolds twins and their father are probably the worst, but there are many others and one of the things Sansom does so well is examine gradations and varieties of evil. Are people truly wicked, or simply weak? What pressures have brought them to be how they are? What tragedies in their lives can account for their behaviour? Can they be changed, or saved? 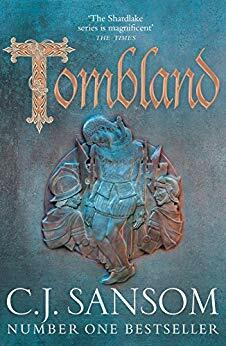 There are so many characters in this story that it would be impossible to speak of them all, but as well as the regulars from other Shardlake books, we meet Simon Scambler, the autistic boy who sings like an angel and has a way with horses, silent Jane Reynolds with her white-bandaged hands, and baby Mousy, whose presence in the rebel camp keeps us worried throughout. There are dozens more, every one of them so well rendered that we can see them before us and hear them speaking. Sometimes we can even smell them. There’s also a terrific cameo from the teenage Elizabeth which shows her to be as difficult as any other teenager. Beyond the history and the mystery, C. J. Sansom is concerned with justice. How it operates in favour of the mighty and often to the detriment of the poor. How men can get away with evil and how powerless most are to fight for their due. Shardlake does his best. He has to compromise; duck and weave to save his own skin, but he is always on the side of what he considers to be right. It’s a rich, complicated and fascinating novel and if you read it on a Kindle you won’t notice how big it is. I was swept up in it and came out at the end feeling as though I’d been up on Mousehold Heath above Norwich with Kett’s men. The fact that Shardlake is hunchbacked has always been interesting. We are worried as we read about how he’s managing to cope with pain and discomfort. But it’s only with this seventh novel that I’ve realised what I’m sure occurred to C. J. Sansom right at the beginning of the series: that in a world full of crookedness, this hunchback is the very model of a truly upright man. Tombland is published by Mantle, an imprint of Pan Macmillan.